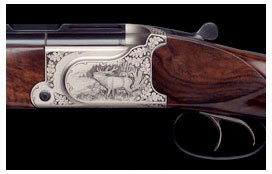 The Krieghoff ULTRA is a modern over-and-under hunting gun available with 20 gauge action. 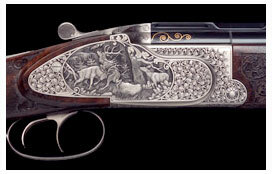 We offer it as an over-and-under rifle or an over-and-under rifle/shotgun combination in 20 gauge and calibers up to 9.3x74R. 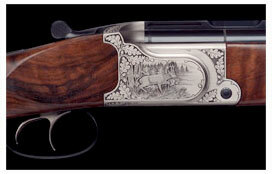 Following the Krieghoff tradition of the 'universal hunting gun', the ULTRA includes the combi-cocking device and the universal trigger system as standard features. You may add extra sets of interchangeable rifle or combination barrels making it our most versatile hunting over-and-under. Add to the ULTRA over-and-under rifle/shotgun combination our full length insert barrel EL-65 and the result is the ideal gun for small and medium game together. 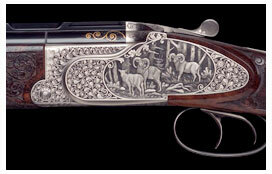 The EL-65 makes the ULTRA even more versatile, truly 'universal' in the Krieghoff sense. The optional to the ULTRA line is the TS-version (thermo stable) which features a free-floating rifle barrel. 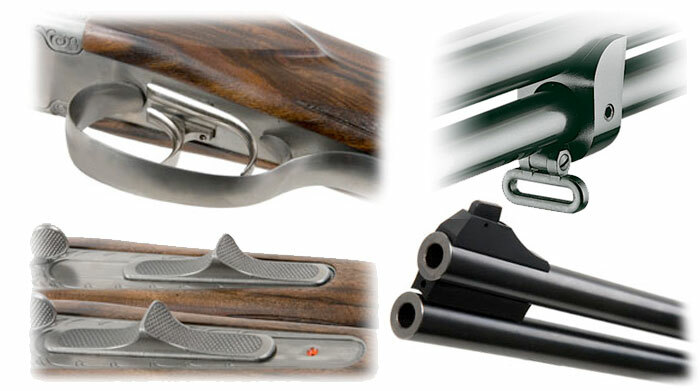 This technical feature makes the barrel heat-stable and allows the gun to be shot in rapid sequence without adversely affecting the grouping. TS-Version featuring thermo stable free-floating barrels. Find out more about the cocking system of the Ultra. See the different position of the mechanism and how the internal workings of the action.